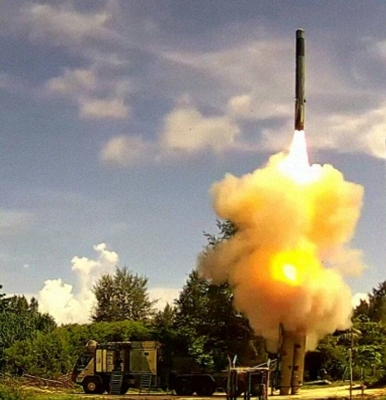 New Delhi May 2 (IANS) The Indian Army on Tuesday successfully test fired the advanced version of the BrahMos land attack cruise missile in the Andaman and Nicobar Islands. An official statement said the test fire revalidated the formidable weapon s precision strike capability. 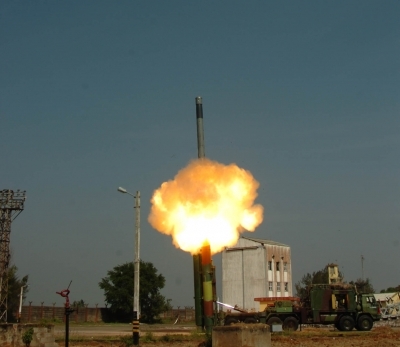 The land-to-land configuration of BrahMosBlock - III was launched from a Mobile Autonomous Launcher (MAL) for its full-range demonstrating the weapon s unmatched lethality of hitting the centre of a designated target with bull s eye precision the statement said. The test was the fourth successful launch of the Block -III version of BrahMos land attack cruise missile. Meeting all flight parameters in a copybook manner while conducting high level and complex manoeuvres the supersonic cruise missile successfully hit the land-based target with desired precision in a top attack configuration it said. 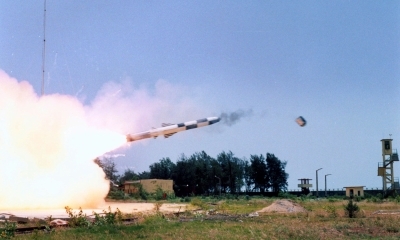 The land attack version of BrahMos has been operationalised in the Indian Army since 2007. 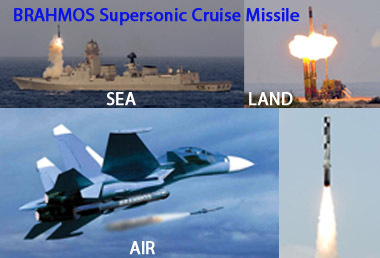 BrahMos Block-III is a joint Russian-Indian project which is based on Russian P-800 Oniks missile. Block III had advanced guidance and upgraded software incorporating high manoeuvres at multiple points and steep dive from high altitude.